Srinagar, Jan 19: Police seeks help of general public to trace out the missing lady namely Saleema Begum ( 35 Year old ) W/O Tariq Ahmad Sheikh R/O Behrampora Rafiabad. 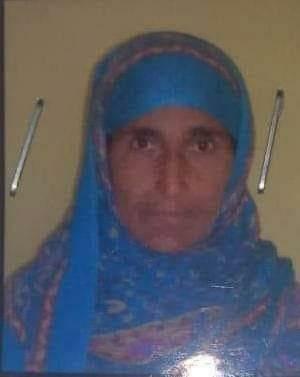 Tariq Ahmad Sheikh S/O Abdul Gani Sheikh R/O Behrampora reported Police Post Watergam that his wife is missing from 13 January 2019. After searching for her all over, they could not find her . The missing report has been lodged in Police Post Watergam and investigation taken up. In case of any information/clue, kindly inform on 7006010915, 9596773024, 9596773025 and 9596773088.